$39.95 In stock. Order in the next 3 hours, 24 minutes and it will go out today! In stock. Order in the next 3 hours, 24 minutes and it will go out today! What’s different? It comes with a special valve, so you can control the speed of the vanishing milk. It’s 6” tall like a large coffee shop plastic cup. And it’s a modern-day prop that's part of today’s coffee-drinking society. 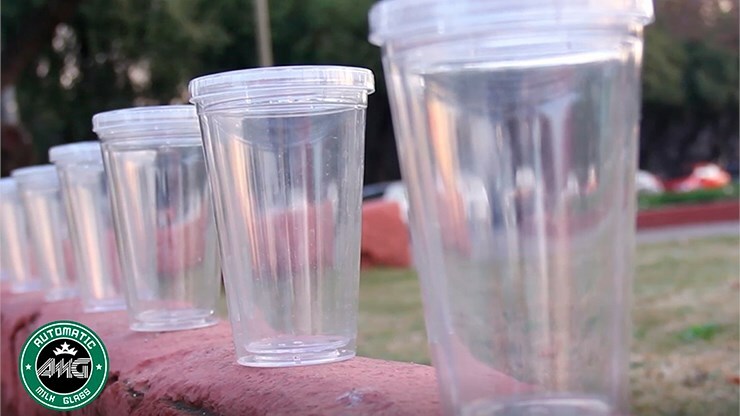 Do you still have one of those small, suspicious looking plastic cups with the ridged edges? Or a pitcher with a faux cut-glass design? Replace it with the Automatic Milk Glass! Check out the video to see this great looking prop. 1) Add a straw to the drink and hold it so your puppet—or an invisible rabbit, a ghost or an imaginary friend magically can “drink” it. 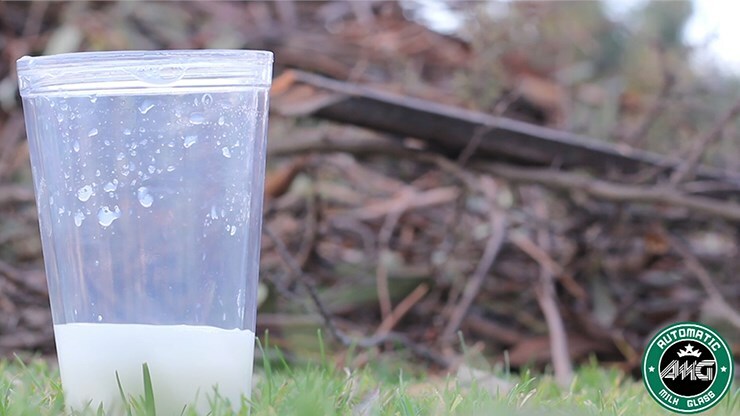 2) Hold the Automatic Milk Glass in your hand and use the "Look, Don’t See" principle as the liquid disappears. The kids see it go down. You don't. Kids scream. Liquid stops when you look. You're confused. Repeat! Kids go crazy! 3) The AMG is great for a running gag. 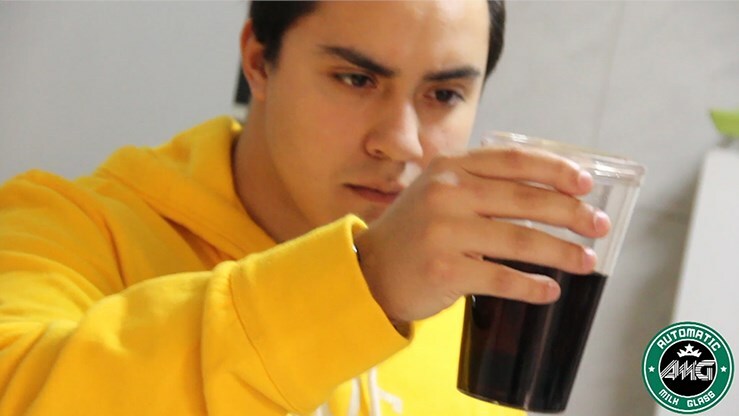 The valve lets you take a magical sip of ice tea between tricks as you “drink” the tea without putting the straw to your lips. 4) Combine it with a liquid production trick like the Comedy Funnel. Hold the AMG over a volunteer’s head. Explain that the milk will go from the glass into an invisible hole in his head and into his body.Then pump out the milk using the Comedy Funnel. 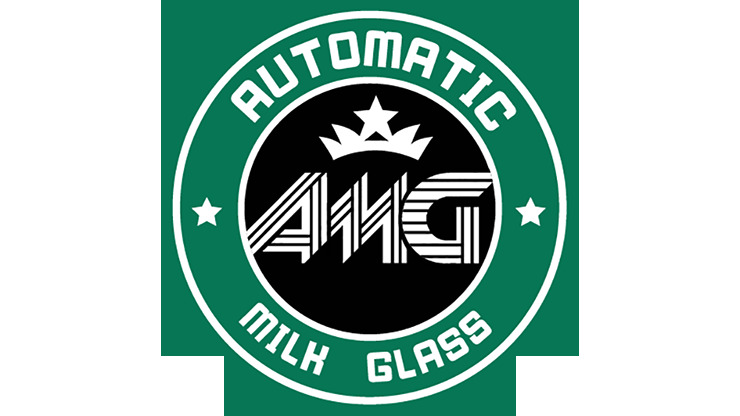 5) “Pour” the milk from the AMG into a paper bag. Then blow into the bag and pop it. Milk is gone! The size of the Automatic Milk Glass is big enough for the stage, but still fits perfectly into your birthday party show. It works best with colorful liquids like Coke, tea, milk, Kool-Aid, coffee. The gimmicked glass allows you to make 80% of the liquid from a near-full glass disappear. The valve that comes with the glass can be used to control the flow rate, or easily removed if you wish. We recommend rinsing it with hot water immediately after every performance to keep it looking and working like new. 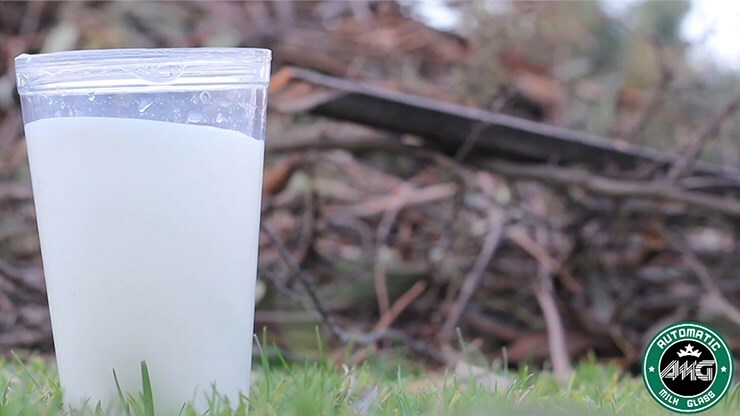 Get the Automatic Milk Glass and you’ll have your audiences eating (and drinking!) out of your hands.